Mr. Wymeersch is the former Chairman of the Supervisory Board of the Belgian Banking, Finance and Insurance Commission, Brussels; Chairman of the Committee of European Securities Regulators (CESR), Paris; Chairman of the European Regional Committee and Member of the Executive Committee and of the Technical Committee of the International Organization of Securities Commission (IOSCO), Madrid. He is also a Member of the European Corporate Governance Forum; Member of the High level committee on a new financial architecture, in Belgium. Emeritus Professor of Commercial Law, University of Ghent, Belgium, teaching on company law, securities regulation and banking law. Co-founder of the Financial Law Institute, University of Ghent. Adviser to the Belgian Government, i.a. as member of the Legislative Branch of the Council of State. He was a member of the supervisory board of the National Bank of Belgium and the Belgian Corporate Governance Commission. 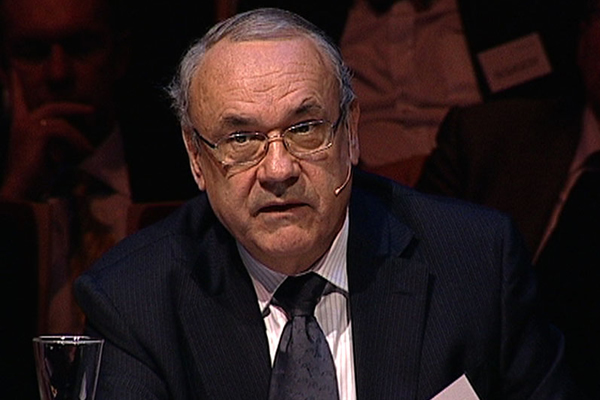 He was Chairman of the Board of Brussels International Airport Company (BIAC) and adviser on governance issues to several listed Belgian companies. Member of the Beirat of the Hamburg Max-Planck-Institut für ausländisches und internationales Privatrecht; member of the editorial or advisory board of several Belgian and European law reviews.